Hey! 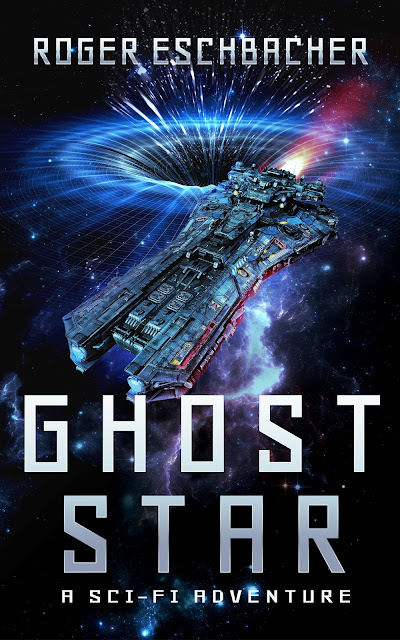 Here's the cover for Ghost Star, my new YA Sci-Fi novel! Isn't it cool? Amazon is launching a Kindle Scout campaign for Ghost Star this Saturday, 8/26. That means you folks will have an opportunity to nominate Ghost Star for publication, and I really really hope you do. I'll post more details and a link to the campaign page on Saturday. If Ghost Star gets picked, I'll get a modest advance and my book will be published by Amazon! If you nominate the book and it gets picked, I'll be eternally grateful, and you'll get a free Kindle copy. In the meantime, how about that cover? Isn't it cool?